After the flood of emails on my calculation practice, I must say the degree of effort put in by y'all varied a lot. 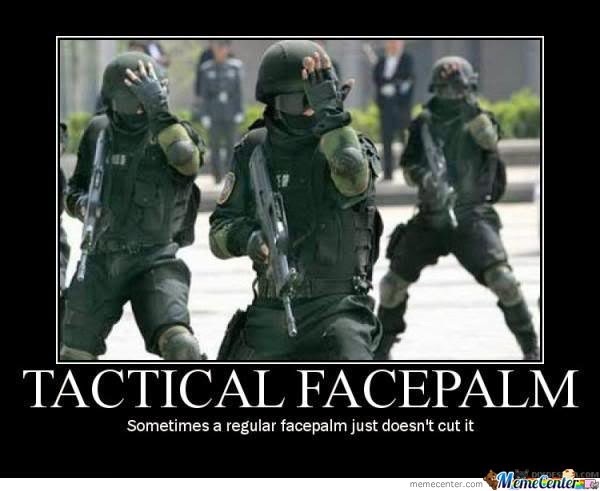 Some peeps gave me 4-line answers, others gave 4-paragraph analysis, one guy wrote me a 4-page report. Nevertheless, I am pleased to see that most of you put in a lot of effort into the analysis, and picked out most of the tactical/positional elements in the challenge I posed. The game started as an English, but transposed into a Queen's Gambit Declined. Such positions are widely reputed for their solid nature (especially as Black), so we shall see whether that is true over here. The most obvious feature of this position is that White threatens to win the b7 pawn (Qb3 develops the Queen with threat), followed by the a8 rook if not defended. I was surprised that some of you could not even spot this; if you are one of them, you really need to work on your tactical vision. White enjoys more space in the centre, and his pieces are placed in more active positions. Two pieces worth noting are the g5 bishop and c1 rook. The g5 bishop is in the traditional knight-pin position, and while Black's knight is safely defended for now he must watch out for potential tactics; for example, moving the Queen away will hang the e7 bishop and make the pin more dangerous. The c1 rook controls the semi-open c-file and eyes c5 and c6; the former is defended by Black's dark-squared bishop while the latter is safely protected... so long as Black does not push the b-pawn. However, the downside for White is that his fianchettoed light-squared bishop is temporarily blocked-in, while his dark-squared bishop-- the same one that's pinning the knight-- is hanging. This might give rise to potential discovered attacks that Black can exploit should he move his knight. On the other hand, Black's bishops are more well protected and coordinated; Black's light-squared bishop even has an indirect attack on the White Queen. This cannot be exploited for now though, since the d5 pawn is in the way. 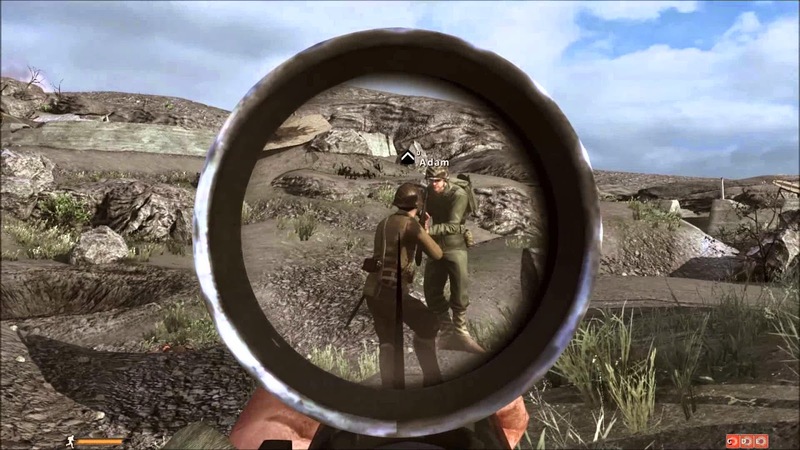 It's like first-person shooters; nothing more frustrating than having a target in your sights, but you can't fire because one of your teammates is in the way! For the pawn structure, both sides are relatively secure but a few things stand out. The first is White's hanging d4 pawn, which can be protected if he is given time to play e3. Another is the "hole" on e5 which can be used as an outpost by White's knight. 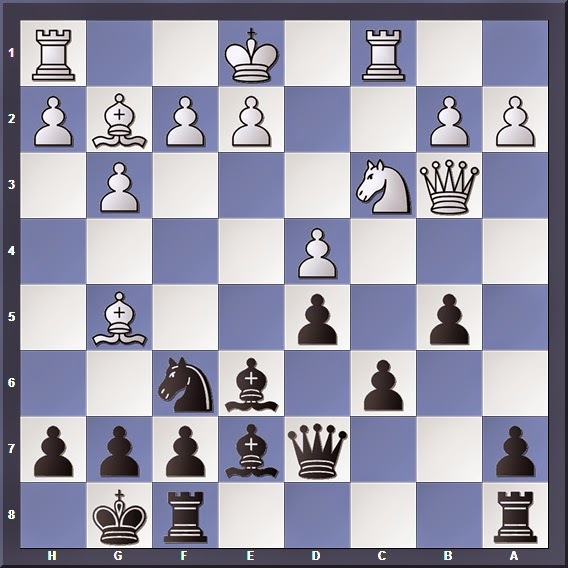 A third element which nearly all of you have talked about is Black's d5 pawn, which seems to be the centre of attention for so many attacking and defending pieces! Development-wise, both sides have an undeveloped knight each. However, Black's king has castled to safety while White's is still exposed in the centre. 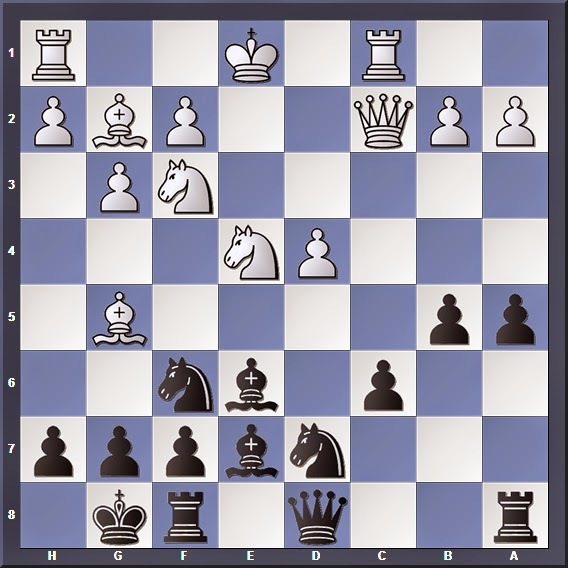 In fact, Black might even consider Qa5 as a potential threat to White's king. Overall, we see that although White appears to be in a more aggressive position, he must first complete his development and castle his kingside to safety, lest Black exploits these weaknesses to launch a counterblow. Following that he might try to push e4 to gain even more space (of course he must protect that square first) in as part of his strategy. For Black, his priority is to defend against the b7 threat, before trying to play on White's weaknesses-- his slight lag in development and the various indirect attacks-- to formulate a suitable plan. To defend against b7 there are a number of ways. 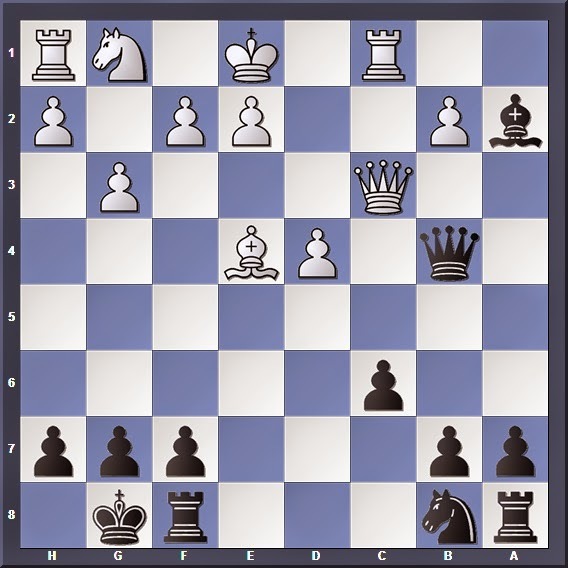 Black can use the Queen/Bishop to defend the pawn (Bc8, Qc8, Qd7, Qc7 and Qb6), push the pawn (b6 or or b5) or launch a counterblow somewhere else (Ne4). We will look at these candidate moves and see which are worth calculating. 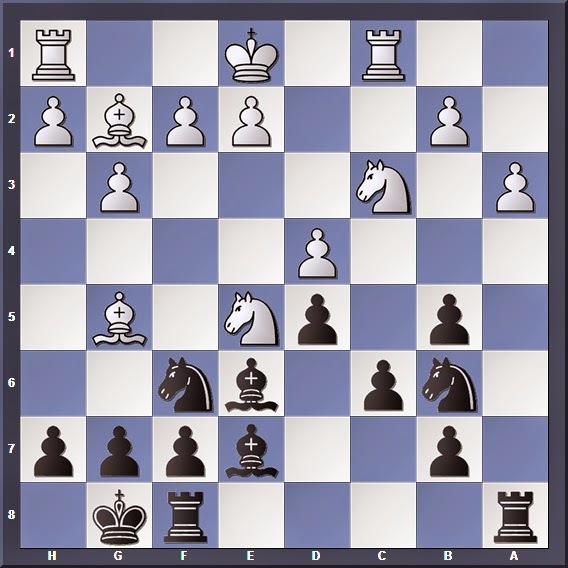 We can cross 9... Bc8 and 9... Qd7 off our list immediately; Bc8 is simply undeveloping the bishop, while Qd7 hinders development of the b8 knight (which can be used to protect the e5 square, as a couple of you have mentioned). Both moves hand the initiative to White on a silver platter, and many of you share the same sentiment in your emails. 9... Qc7 might seem fine at first; some of you pointed out the continuation 10. Bxf6 Bxf6 11. Nxd5 Bxd5, and White's plan to exploit the c-file pin with 12. Bxd5?? doesn't work because of 12... Qa5+! winning the bishop. However, I quickly ruled out Qc7 due to the reply 10. Bf4!, which forces the Queen to a less optimal square (10... Bd6?? overloads the Queen and loses material: 11. Bxd6 Qxd6 12. Qxb7 +-) and once again hands the initiative to White. This line did not favour me, with potential weaknesses on c6 and c5. So in no time we eliminated 4 candidates without needing to go deep into the variations. Tip: When you see candidate moves that are clearly sub-optimal, cross them out and look at other variations so as to save time. That leaves us with 4 more options: b6, b5, Qb6 and Ne4. 9... b6 followed by 10... c5 seemed like a good plan, defending against the threat and striking out in the centre immediately. However, as I mentioned before, the c6 pawn becomes a potential weakness should Black push the b-pawn. Even after 10... c5 11. dxc5, there would be an open b-file for the White Queen to access (one Black Knight also pointed out the dangers of leaving the a-pawn isolated in this scenario)! So I ruled out this variation during the game in light of the problems on the c and b-files. The complications here are not in Black's favour. If for example he plays d4?! 16. Ne4 Nxe4 17. Qxe4 Nf6 (17... Qxa2?? allows White to launch a tactical blow: 18. Bxe7! Rxe7 19. Qxa8+ winning the rook) 18. Qd3 the c5 pawn becomes a weakness again. After which the weakness on c6 becomes apparent. 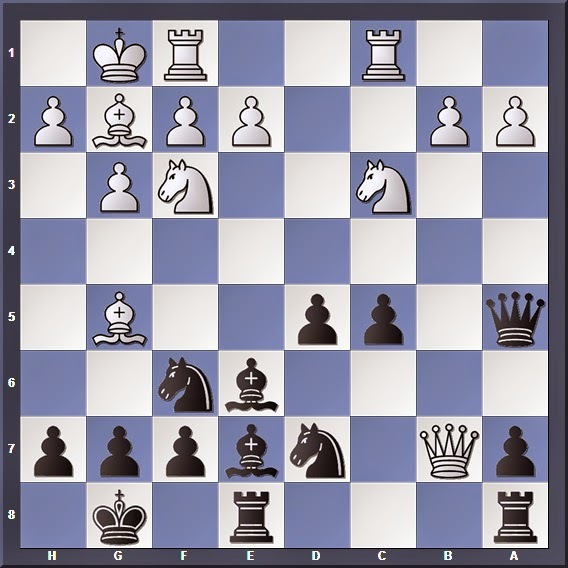 No doubt this position is still playable (Black can continue his advance on the Queenside and try to exploit White's isolated d4 pawn while White concentrates on the centre/kingside; a possible continuation might be 13... Nxe4 14. Bxe7 Qxe7 15. Qxe4), but personally I won't go for it. 9... Qb6 is one of the more solid responses to White's threat. 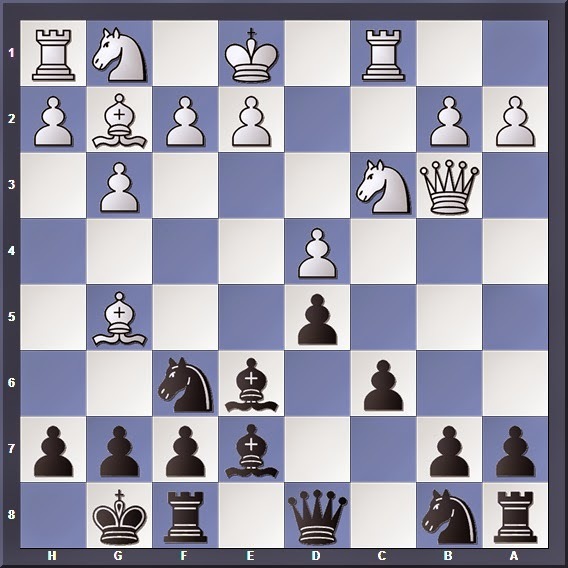 Here Black forces a Queen exchange; retreating the Queen is wasting tempo for White, while ignoring the threat and allowing Black to exchange on b3 gives White isolated doubled pawns. However, it seems like after the exchange on b6 Black is worse off since he himself gets a pair of doubled-pawns... or is he? In fact, that was my main concern when I was calculating this variation in-game. But after some consideration, I realized that Black gets sufficient compensation for this: The a-file is opened for the rook after the exchange, allowing Black to gain access to that area of the board. Moreover, the doubled-pawns are not as weak as they seem, since they can be well supported after Black develops the knight to d7. To further extend his Queenside control, he might even consider playing b5 (this creates a system of dark square "holes", but they are not very weak since Black still retains his dark-squared bishop) followed by b4, putting the question to the knight. Despite his doubled-pawns and White's centralized knight, Black has very good control on the Queenside. His plans will be to play Nc4 or push b4... going for an advance on that wing. Unfortunately for me, playing the knight to c4 was not one the the plans I had in mind during the game! At first glance it seems White can still win the pawn (and rook) with 10. Qxb7?! ; but after 10... Bxg5 we see that White's hanging rook lies in the fire of Black's bishop! Thus after 11. Qxa8 Bxc1 White ends up losing material. After 10. Bxe7 Qxe7 the b7 pawn is protected, and a possible continuation will be 11. Nxe4 dxe4 12. Qc2 Bd5. Black has more space, but White can consolidate quickly with moves like 13. e3 and 14. Ne2. After the Queen exchange White will have an isolated b-pawn if he recaptures with the rook; Black will have an outside passed pawn on the a-file if White recaptures with pawn. Either way Black will have a slight edge in the endgame. The Ne4 variation is a difficult one to calculate especially if you're under time pressure, so great job to those who managed to identify and calculate it. From this exercise, you have put yourself through a typical over-the-board situation where one needs to calculate variations in order to respond to threats or formulate a strategy. Under time constraints-- and especially in a rapid game-- the trick is to know when to stop calculating, so that one can get enough insight and yet save time. This requires a good knowledge of the various strategic and tactical elements; if you practice on them more often, they will come to you naturally.